Did you know that you can tell the time from your skin? Just as you have an internal body clock – disrupted when you experience jetlag – your skin also has its own internal clock, with its rhythms changing dramatically during a 24-hour cycle. That's why on certain days, your skin can go from bouncy and luminous to feeling like the walking dead. A variety of aggressors – exposure to UV rays, air pollution, an air-conditioned office, even mental stress – all contribute to oxidative damage in your skin, so it's important to know when and how to treat your skin throughout the day. 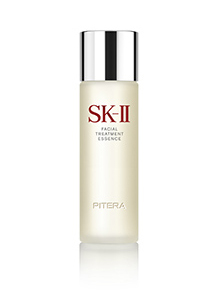 8AM: Before leaving home, arm your skin with the nourishing hydration of Facial Treatment Essence, which also helps to strengthen the skin barrier function to help retain moisture. Apply a moisturizing sunscreen such as Cellumination Day Surge UV to protect your skin from sun damage. 10AM: Try to curb your coffee cravings and drink plain old water instead. Too much caffeine can dehydrate your skin, so keep a big bottle of water on your desk to remind yourself to drink more throughout the day, helping your skin stay plump and hydrated from the inside. 12PM: After just a few hours of being inside a dry office environment, your skin is already losing radiance and hydration. 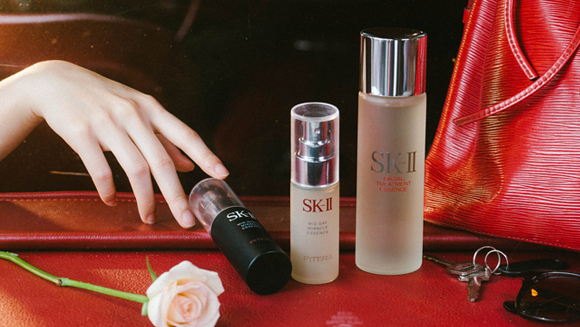 For a refreshing pick-me-up, spray SK-II’s new Mid-Day Miracle Essence over your entire face. 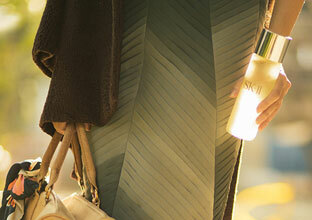 The invigorating facial mist even works over makeup, so you’ll get instant hydration without ruining your look. 1PM: By lunchtime, the sun’s damaging UV rays are at their peak, so remember to reapply SPF before going out. 4PM: Your makeup has all but melted off by the late afternoon, and your skin looks dull and dehydrated, resulting in either scaly dry patches or a greasy T-zone from excess sebum production. Instead of layering on more powder when your skin starts to look oily, which can clog pores, press your face with blotting paper or a clean tissue to get rid of excess shine. 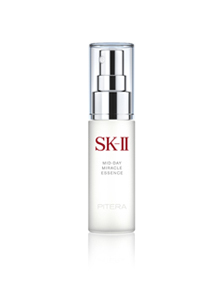 Then spray on Mid-Day Miracle Essence again to reinvigorate your skin. 5PM: Did someone say tea-time? If you need an afternoon snack, try to resist sweet temptations and instead, grab something high in anti-oxidants and vitamins – like almonds or blueberries – to nourish your skin from the inside while satiating your hunger pangs. 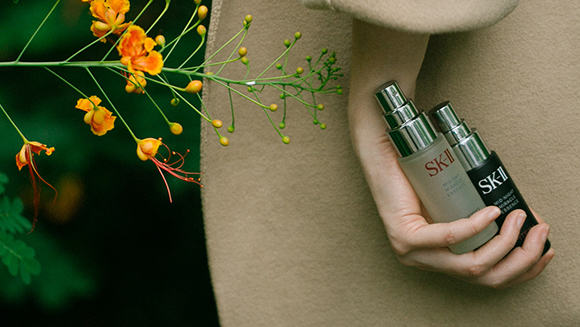 7PM: You may have spent all day in the office, but your skin doesn’t have to look like it. Reach for the Mid-Night Miracle Essence to give your skin an extra boost of hydration before going for after-work drinks. 11PM: Before falling asleep, remove all traces of makeup and follow your nightly skincare regimen, making sure to include Facial Treatment Essence to soothe your skin and restore its moisture after a long, tiring day.